The English Long-Faced Tumbler pigeon is a breed of fancy pigeon developed over many years of selective breeding. 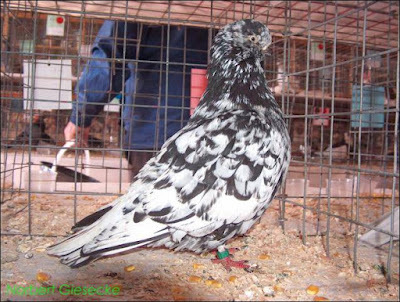 English Long Face Tumblers, along with other varieties of domesticated pigeons, are all descendants from the rock pigeon (Columba livia). This breed is available in both clean legged and muffed (feathered legs) varieties. 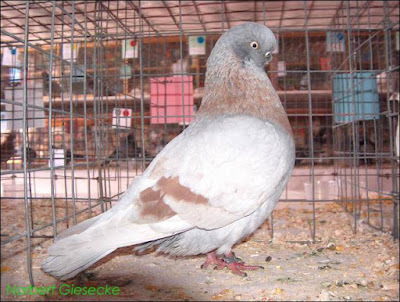 Due to its short beak it requires foster parents (homing pigeons etc.) 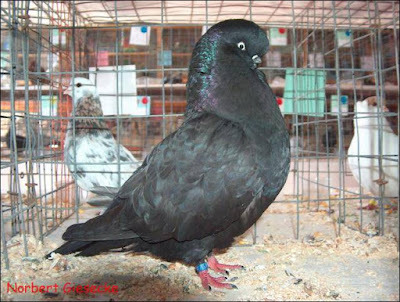 to raise its young. The breed is popular around the world and has continued development particularly in the United States.